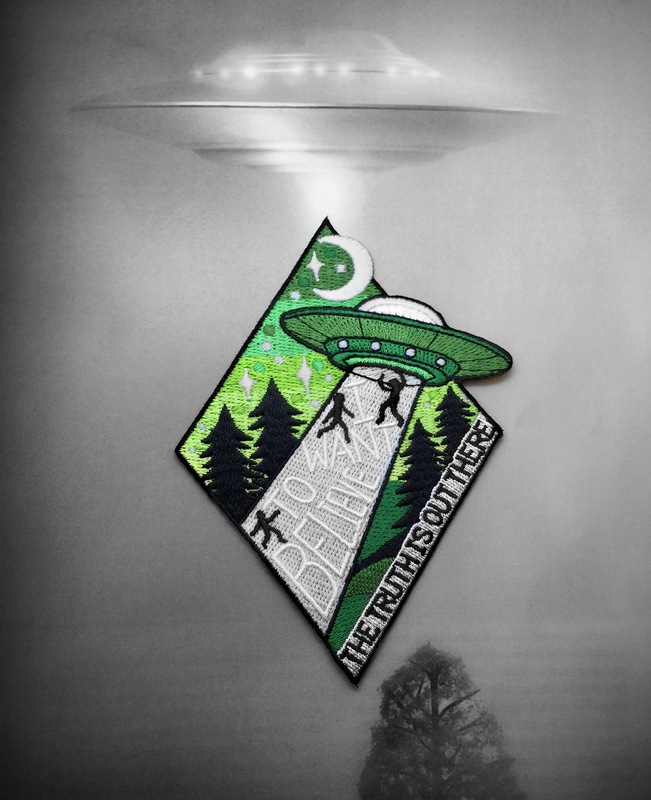 This glow-in-the-dark iron on patch is loosely based on X-files, with some classic quotes. The beam glows leaving "I believe" in negative space. This patch was originally featured in our Jan "I believe" package.